The actor and producer, who completes a century in December, is one of the last great stars of Hollywood’s Golden Age. There’s a saying in Latin, “Sic transit gloria mundi”. Which roughly means “How quickly the famous are forgotten”. Kirk Douglas was one of the biggest stars of the Golden Age of 1950s Hollywood. But today he is known mainly for being the father of Michael Douglas. He celebrates his 100th birthday on December 9. Douglas’s career spanned from 1946 to 2008, which must be some kind of record. He began his career with vintage stars like Barbara Stanwyck and ended his career with Rory Culkin, bridging four generations between them. And during that time, he made 90 films, including action classics that matched his rock-jawed good looks, such as Gunfight at the OK Corral, The Vikings, Spartacus, and Lonely Are the Brave. Douglas was nominated three times for an Oscar for Best Actor, and finally won an Honorary Oscar in 1996. 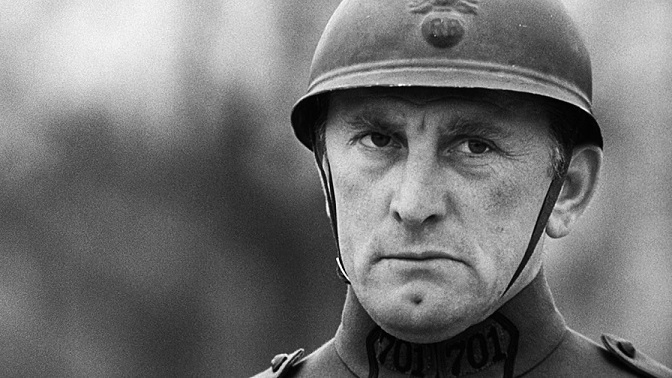 Kirk Douglas in ‘Paths of Glory’. The film Douglas is probably best remembered for is Lust For Life, where he played Vincent van Gogh. He portrayed the artist as a tormented man, who experiences fantastic hallucinations and gets himself committed to a mental asylum in an attempt to end them. When that doesn’t work, he goes back to his painting, trying desperately to capture on canvas the disturbing beauty of the visions that he sees. But, despairing that he will never be able to capture the fullness of that beauty, he ultimately shoots himself. Douglas identified with van Gogh, because he looked like him and was the same age as Van Gosh was at the time of his suicide. Using the Method to play the role, Douglas actually taught himself to paint in van Gogh’s style and sought to live his tormented inner life during the entire period that he was shooting the film. He nearly drove himself (and his wife) crazy in the process, stomping around the house in torment, wearing the rough 19th century villager’s boots that van Gogh wore. It’s a process, he later confessed, that he would never want to go through again. Douglas was a neck-and-neck favorite for the Best Actor Oscar that year with Laurence Olivier (for his performance in Richard III). But, in one of those inexplicable upsets, they both lost out to Yul Brynner for his performance in The King and I. But Douglas had other claims to fame. Like his early collaboration with director Stanley Kubrick – then just an emerging prodigy – in the controversial anti-war classic, Paths of Glory. It was a commercial failure at the time, but people now consider it to be one of the most important films Kubrick ever made. Then, disappointed at losing the title role of Ben Hur to Charlton Heston, Douglas decided to make his own swords-and-sandals spectacular, Spartacus. And, once again, he got Kubrick to direct it, cleverly wrapping a liberal, anti-McCarthy message inside its epic Roman empire story-line. With Spartacus, Douglas also did what he’s often called “the most important thing I’ve done in my career”: he not only hired the blacklisted “Communist” Dalton Trumbo to write the script, but also insisted on openly crediting him for it instead of creating some hypocritical pseudonym for the script-writer, as was the norm, in such cases. It was a courageous decision, and put Douglas’s entire career at risk, with well-wishers warning him that he would never work in Hollywood again. My favourite Kirk Douglas movie, however, is the cult time-travel flick The Final Countdown, in which where he plays the unflappable commanding officer of the aircraft carrier, the USS Nimitz, on a routine cruise in the Pacific, circa 1980. The ship inexplicably slips through a time warp and finds itself in December 1941 – the day before the Japanese attack on Pearl Harbour. The film’s wonderful time-travel premise led, incidentally, to John Birminbgham’s well-known Axis of Time novels, about an alternative history of World War II triggered by a technologically advanced naval task force from the year 2021 that is accidentally transported back through time to 1942. I must have watched The Final Countdown at least a dozen times, and Kirk Douglas is always perfect as Yelland, trying determinedly (but unsuccessfully) to avert the attack on Pearl Harbour. And now, of course, Douglas has done his own very personal time-travel routine: a decorated World War II Navy veteran in real life, he has travelled well into the 21st century. One hopes that his own Final Countdown is still a long way away. 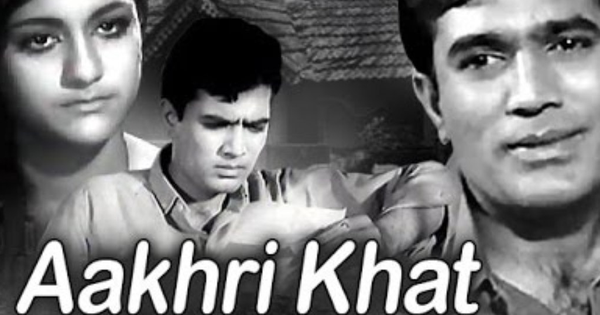 Did you know Rajesh Khanna’s career was a near miss even after winning a talent hunt?